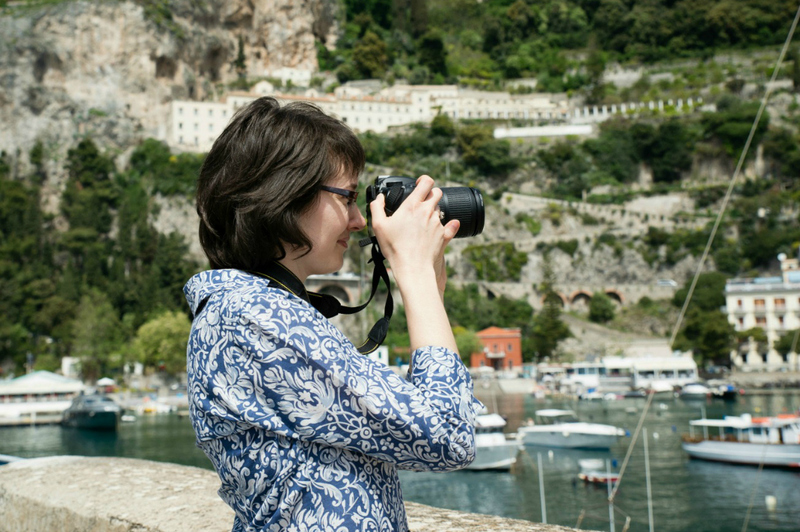 Love the Amalfi Coast? Love yoga? If you answered yes to both of those questions, then I’ve got something you’re really going to love. 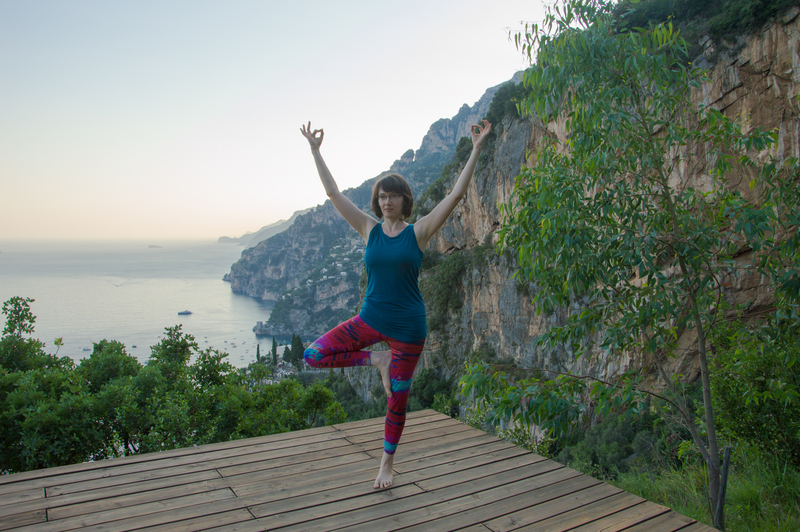 I’ve always known that the Amalfi Coast was a paradise, but I didn’t know just how beautiful it could be when my passion for yoga and for the Amalfi Coast came together. It’s a match made in heaven! That’s how I felt when I joined my friend Shari from Sole Yoga Holidays earlier this summer at her Positano Yoga Retreat. 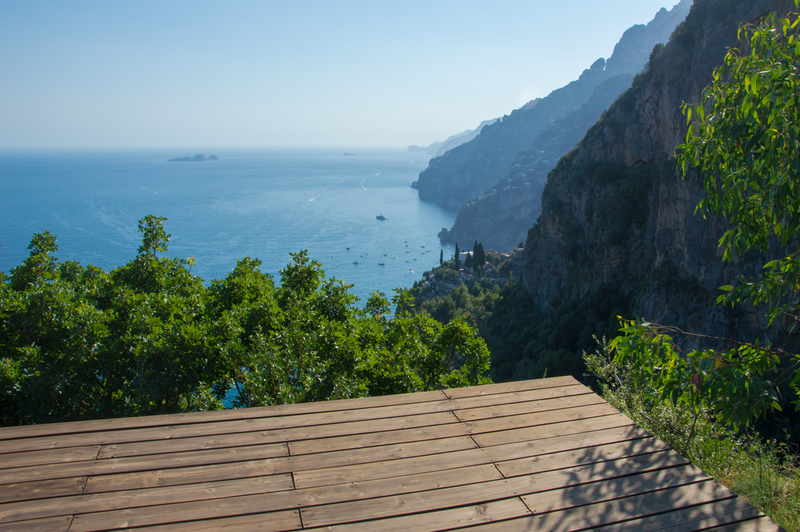 This incredible yoga experience takes place at the eco resort La Selva, set high in the mountains above Positano. 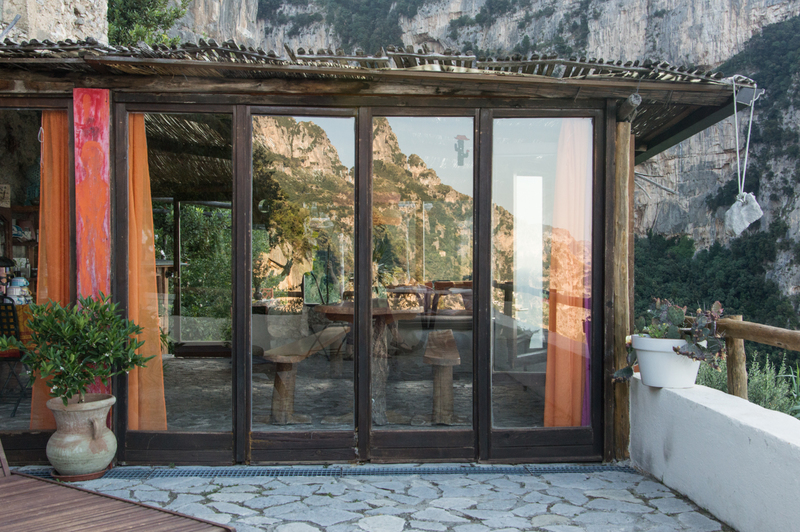 I couldn’t imagine a more stunning location for learning more about yoga, making new friends, enjoying fabulous organic meals and, of course, those panoramic views of the Amalfi Coast. 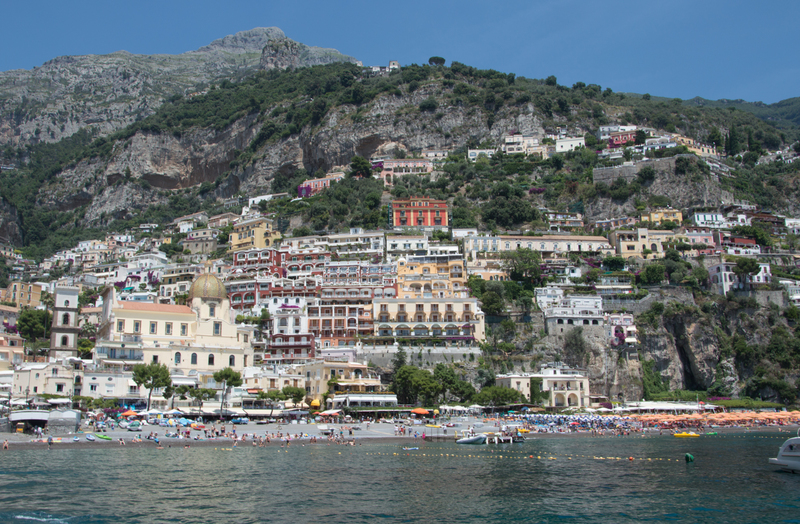 When most people think of Positano, they think of the pastel hued homes spilling down the mountainside to the sea. 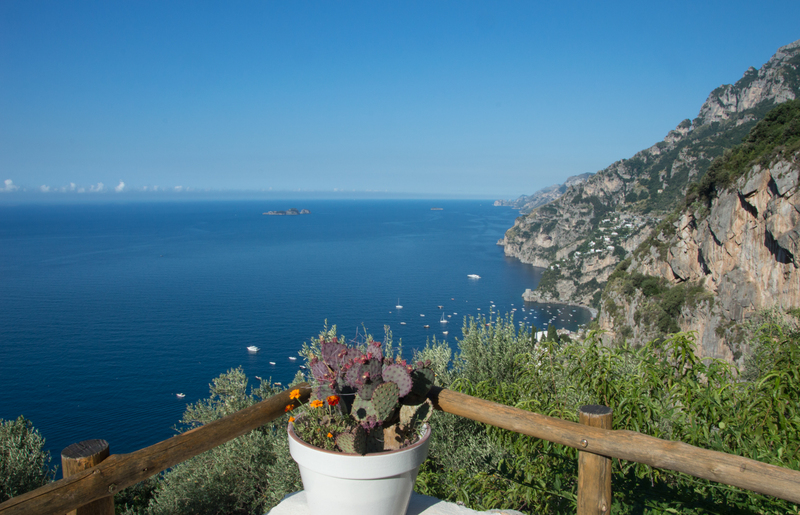 That certainly is Positano and is a huge part of the experience on this retreat, but what I particularly enjoyed about Sole Yoga Holiday’s choice of La Selva is that is highlights the other side of the Amalfi Coast. 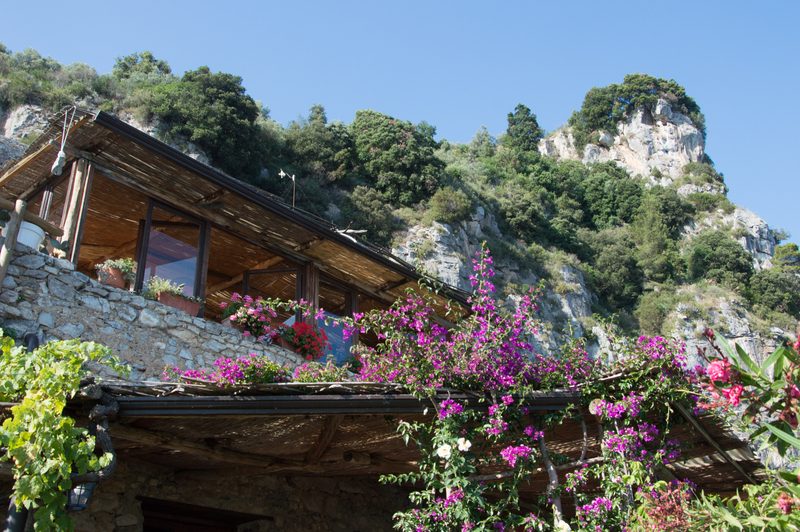 That’s the rugged and wild natural beauty that you find in the mountains, an incredible side of Positano that many visitors miss. 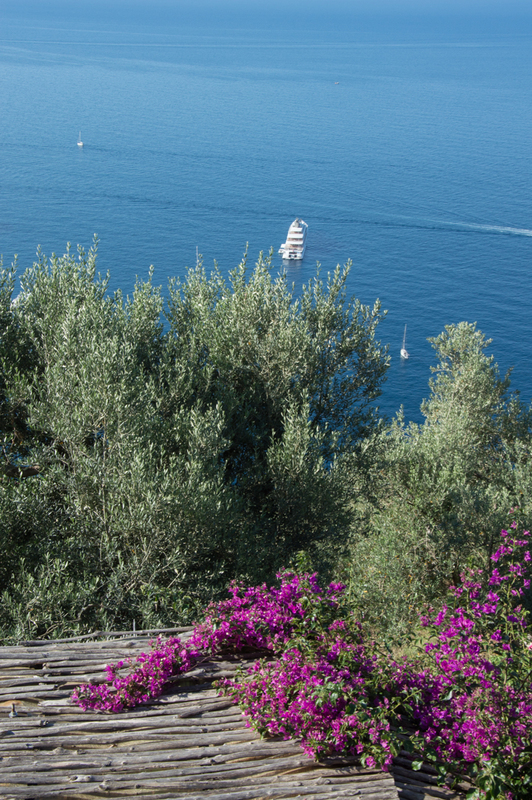 I love that Shari has designed her Positano retreat to highlight the best of Positano – the quiet beauty, the hidden away beaches and all the fun Positano has to offer. It was quite a hike up to La Selva, but while chatting and making new friends it passed in no time. This place blew my mind! 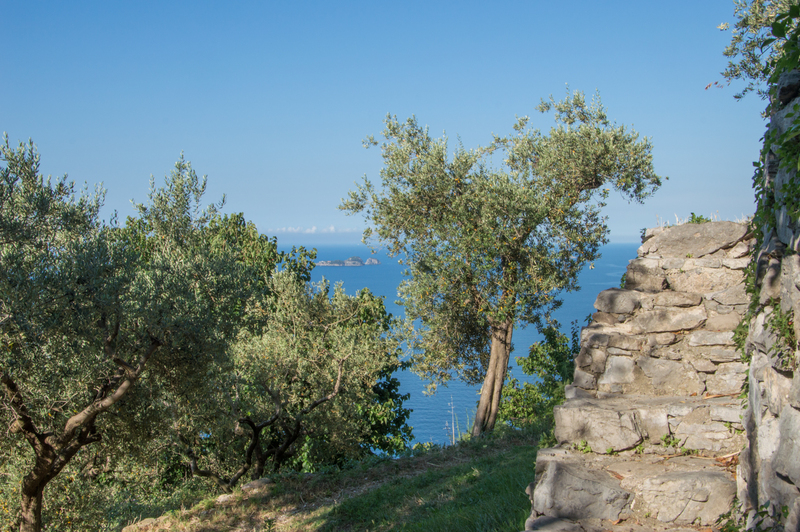 Following the pathway up to the main buildings, we passed the glass enclosed yoga studio where we held our morning and evening yoga classes and also a wooden platform where we had an evening meditation session with a view that stretches down the coastline all the way to Capri. The pathway leads eventually to La Selva, where they have rooms and a beautiful terrace where meals were served – with windows flung open to feel even closer to that stunning view. I woke up early one morning and crept upstairs with my tripod to capture the morning light, the reflections and view. It’s such a peaceful area, and surrounded by such natural beauty it feels natural to spend some time reflecting. I do that while taking photos, so off I went for an early morning exploration through the terraces of La Selva. From all the walking and yoga you naturally work up an appetite! That was taken care of by La Selva with the most creative and delicious meals by chef Francesco Nicolai, which were all vegetarian and incorporated ingredients grown on their property. So fresh, so unexpected and so very good. 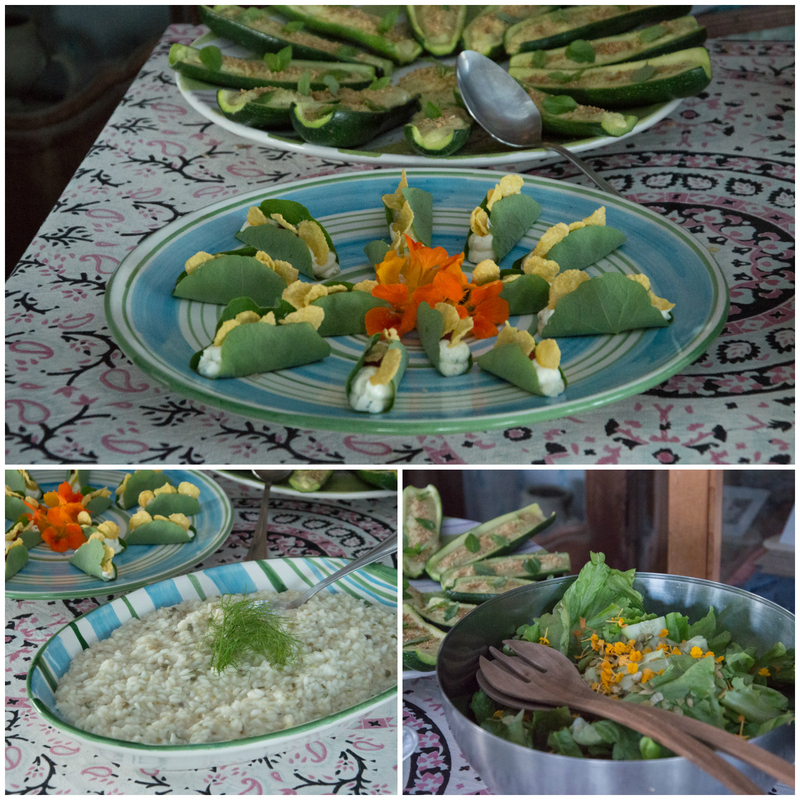 I met such interesting people who were part of the yoga retreat, which meant that dinner at the long wooden table naturally led into conversations after dinner over fresh lemon verbena tea with a dollop of La Selva’s own honey. Just outside the view was captivating day and night. During quiet moments I could just sit and get lost in the view of the mountains and the sea, including the Li Galli islands off Positano. Come along and enjoy some of the photos I took while exploring La Selva and enjoying some quiet moments before and after the yoga classes. While the location of yoga retreat meant lots of nature, every once in awhile a reminder of modern day Positano would appear. At night the lights of massive yachts dotted the sea around Positano. Like I said, there are two sides of the Amalfi Coast. I loved being surrounded by the side much more comfortable to me – quiet, natural cooking, spectacular scenery. 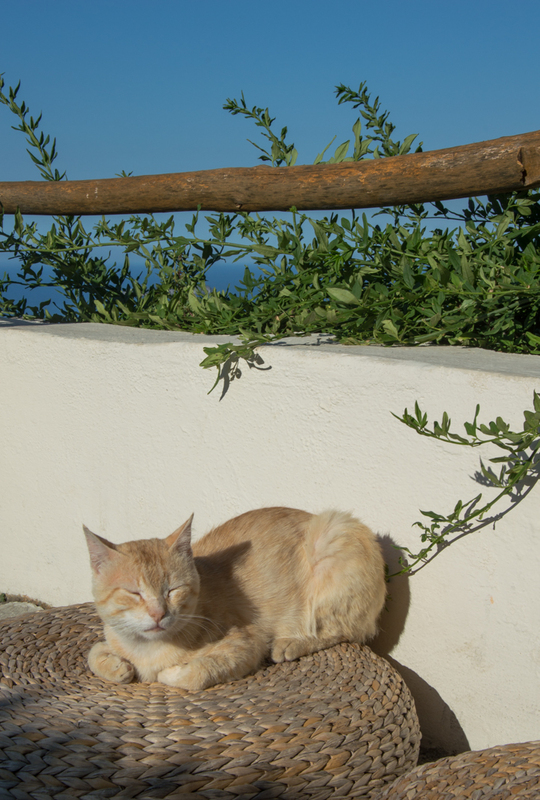 Everyone … including the cats … were peaceful and happy at La Selva! They have resident cats, dogs, chickens and even two extremely cute donkeys that you can stop by and say hi to while out exploring. I was pretty sure that cat had it all figured out. While walking to and from the yoga studio, I loved catching little glimpses of the familiar Positano, like the Li Galli islands suddenly popping out from behind the olive trees. Do you see them in the photo above? And, the best part, there was yoga! While I’ve never had much experience taking yoga classes, both Shari and her assistant instructor Melissa both made me feel comfortable right away. It was also my first time with Ashtanga yoga, which I enjoyed as well. Given that my yoga practice takes place in my living room, it was wonderful to get some time with experienced teachers who were able to help me see quite a few new things that I remember every time I get on the yoga mat now. I just wish I could continue to take classes from Shari and Melissa … and I wouldn’t mind having that platform and incredible view, too! *Not to be used with any other offer or discount. please review Sole Yoga Holidays policy for information. 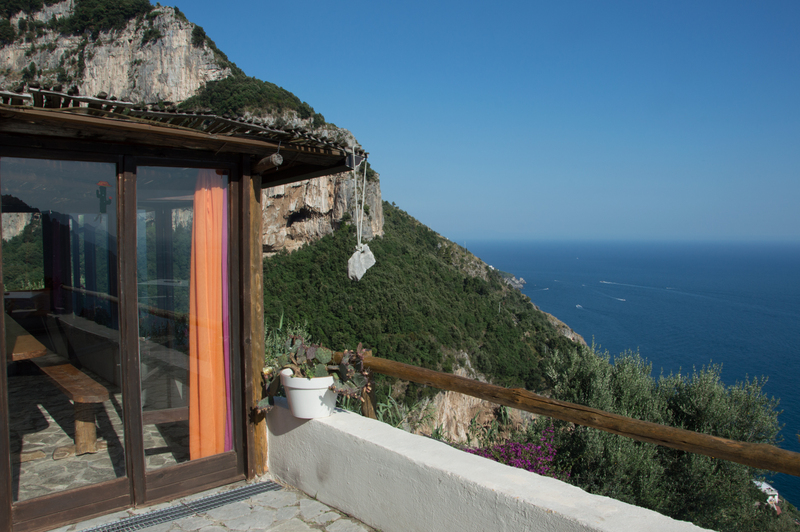 DISCLOSURE: If you use the CIAOAMALFI code when booking your retreat with Shari, I will earn a small commission. I only make recommendations that I have experienced firsthand, and all the opinions expressed here are wholeheartedly my own. You will not pay more when booking with my code. Thank you in advance for your support! What a gorgeous setting for yoga…meditation or just plain relaxing. The views are magnificent. I’m glad you got to have this experience. Thanks for sharing. It was incredible! I still go back there in my mind when I meditate. I never been to that place, but by looking at it and those incredible shots it feels like we’re part of your journey there. Its a beautiful place, a paradise indeed. Thanks for sharing this place to the world. My Guide – Coming Soon! 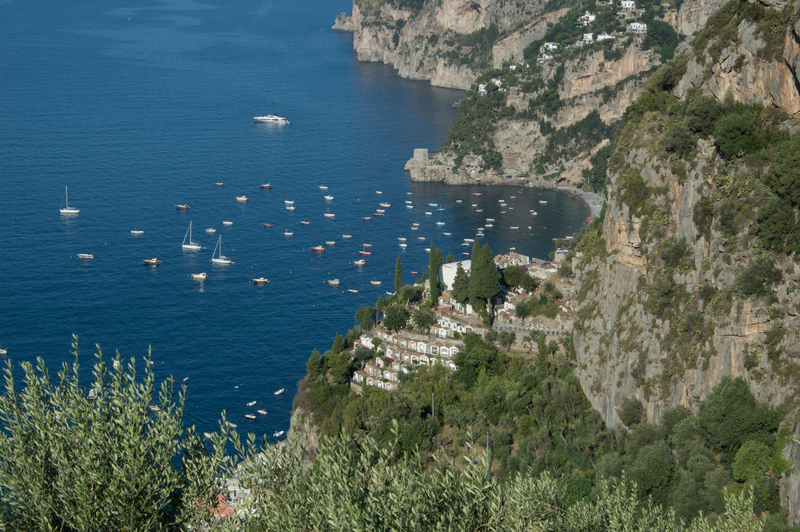 The Amalfi Coast inspires dreams like few other travel destinations in the world. The landscape is captivating and the warmth of the locals unforgettable. It’s easy to leave a piece of your heart behind after visiting this remarkable stretch of coastline in southern Italy. 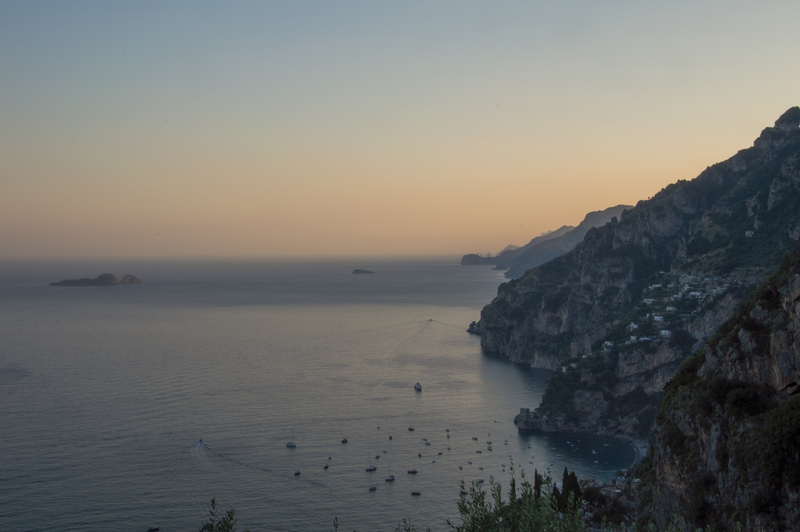 If you’ve been dreaming of visiting the Amalfi Coast or are one of the many who have fallen in love here, I invite you to enjoy the beauty of the Amalfi Coast on Ciao Amalfi.